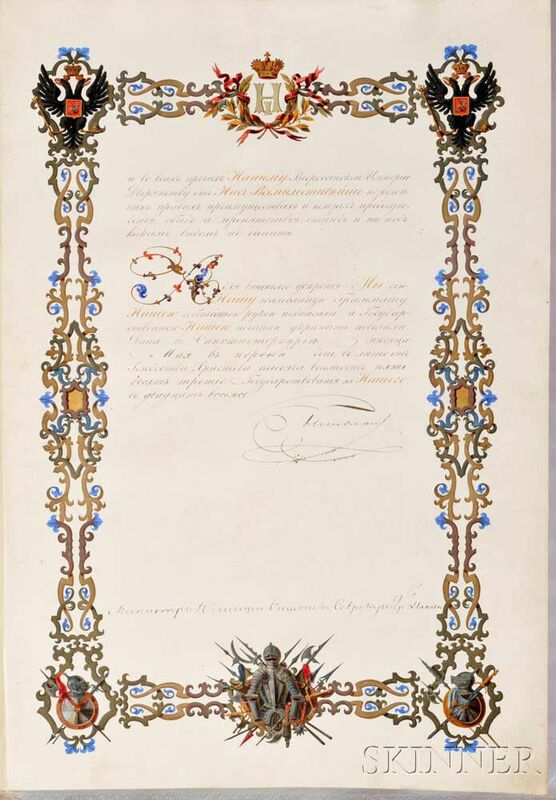 Nicholas I of Russia (1796-1855) Illuminated Gramota (Grant of Nobility and Arms) Signed, St. Petersburg, 1 May 1853. 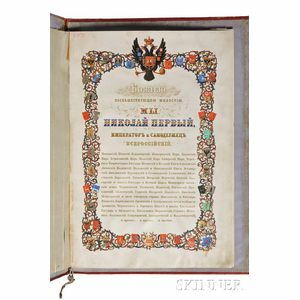 Nicholas I of Russia (1796-1855) Illuminated Gramota (Grant of Nobility and Arms) Signed, St. Petersburg, 1 May 1853. Nicholas I of Russia (1796-1855) Illuminated Gramota (Grant of Nobility and Arms) Signed, St. Petersburg, 1 May 1853. 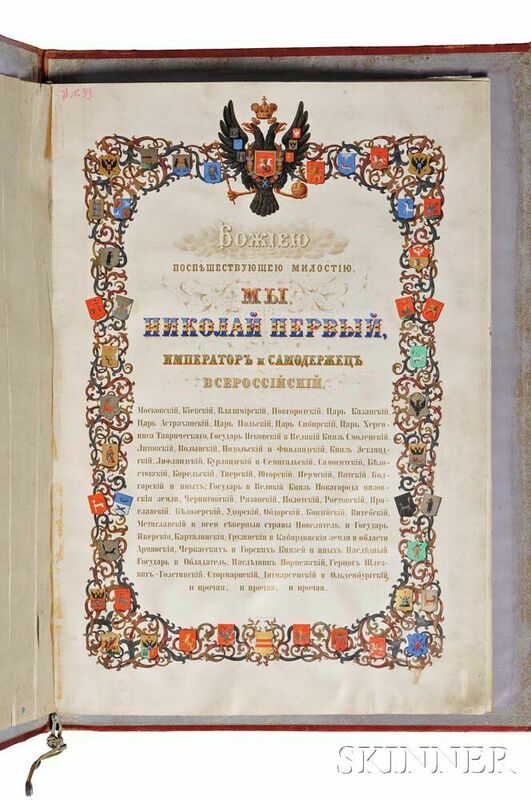 Nicholas I of Russia (1796-1855) Illuminated Gramota (Grant of Nobility and Arms) Signed, St. Petersburg, 1 May 1853. Folio parchment document, seven inscribed pages over four leaves, with gilt and hand-colored borders, coats of arms, and elements throughout, the Czar's signature appearing at the foot of the last inscribed leaf; parchment pages interleaved with ivory moire silk. 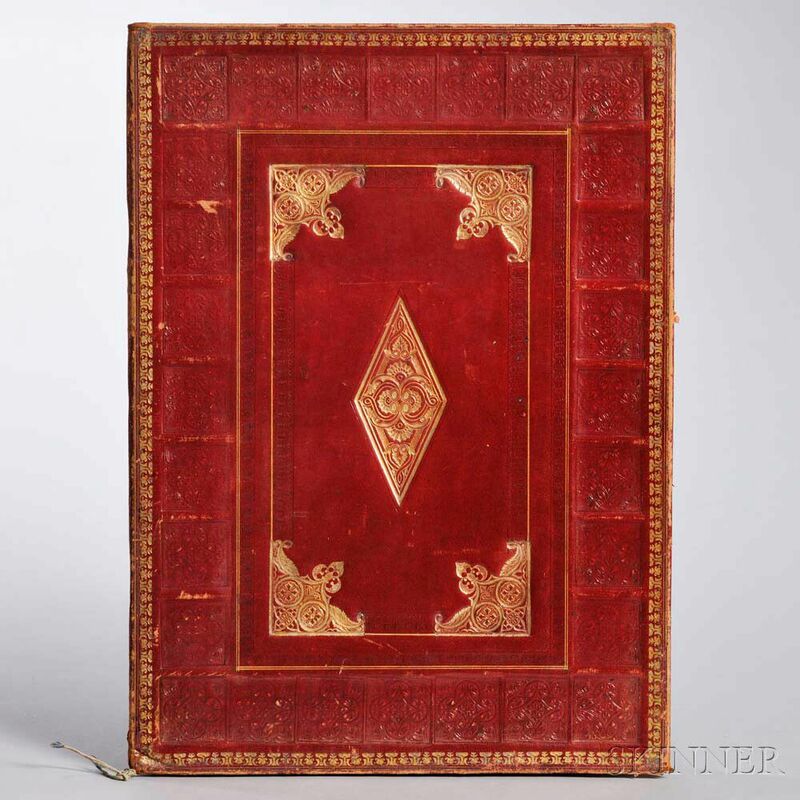 Bound in full contemporary red morocco, tooled in gilt and blind panels, spine slightly worn, some discoloration to first leaf from old tape, lacking the wax seal, 18 x 12 1/2 in.